Regular texturing has many drawbacks. One of them is the fact that a texture is typically applied to a flat surface. Relief texturing uses a color texture along with a depth map and an algorithm for view-dependent depth occlusion. A level-of-detail engine could benefit hugely from this technique by rendering far-away surfaces with regular textures and closer surfaces with relief texturing. 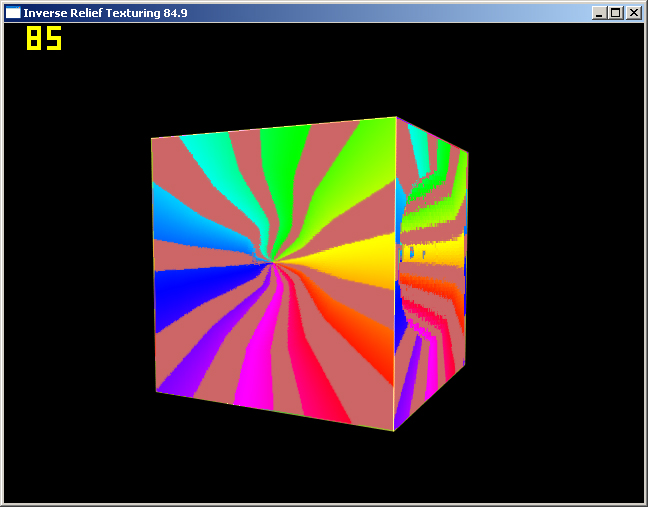 The main part of the calculations are done in a fragment shader.